Anja Geitmann obtained her PhD in 1997 from the University of Siena (Italy), following undergraduate and graduate studies at the University of Constance (Germany), Oregon State University (USA), and Stockholm University (Sweden). Between 1997 and 2001 she performed postdoctoral research at the Université Laval, Québec, and at the University of Wageningen, The Netherlands. From 2001 to 2015 she was Professor at the Department of Biological Sciences of the Université de Montréal and Scientist at the Institut de recherche en biologie végétale. 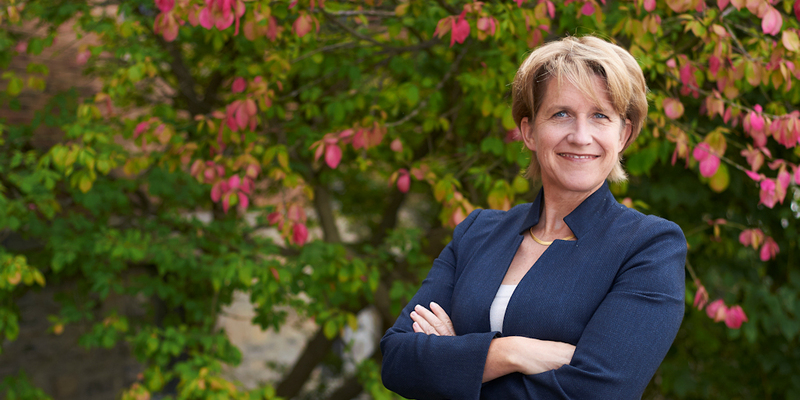 In 2015 she joined McGill University as Professor in the Department of Plant Science, Dean at the Faculty of Agricultural and Environmental Sciences and Associate Vice-Principal of Macdonald Campus. She currently serves as President of the Canadian Society of Plant Biologists and as Past-President of the Microscopical Society of Canada. She is the Vice-President of the International Association of Plant Sexual Reproduction Research and she serves on the editorial boards of multiple scientific journals including Plant Physiology. Crop yield is directly related to the speed of plant growth, the final size and shape of the harvested organ, and the reproductive success leading to seed set and fruit formation. The formation of leaves, shoots, roots and fruits is the result of concerted cellular activities: cell division and cell growth. The Geitmann Lab studies how these fundamental processes function at subcellular level with the aim to understand how the genetic composition of an organism translates into its characteristic shape, form and functionality. Biomechanics of Plant Development: Plant growth requires the morphogenesis of organs and functional tissues. Dr. Geitmann studies the mechanical and cell biological underpinnings of these processes focusing on cellular growth and cell division. She focuses on the cytoskeletal control of cell wall assembly and cellular expansion. Plant Reproduction: Seed set and fruit formation requires the delivery of sperm cells via the pollen tube, the catherlike extension of the pollen grain. Using sophisticated microfluidic devices Dr. Geitmann studies how the pollen tube invades the pistillar tissues and reaches its target. Biomechanical Modeling: Using mathematical modeling and computational simulation, the mechanics of plant cell growth processes, the regulation of cell wall mechanics and the dynamics of intracellular movement. Live Cell and Ultrastructural Imaging: Cellular processes are studied using confocal laser scanning microscopy for visualization of dynamic processes and scanning electron and transmission electron microscopy for ultrastructural detail. For current research, please visit the lab website.